Adults caught up in the coloring book craze now have new and more social ways to participate: through libraries and meetup groups. "People just love this. I think they feel successful, like they've finished something," said Jane Henze, the adult-programming director at DeForest Public Library near Madison, Wisconsin. "The neat thing about it, as far as stress goes, you're concentrating on something, you're not thinking about what's going on at home or at work." She started the library's free program this summer with colored pencils, snacks and photocopied images after seeing the success at another nearby library. They now do it twice a month, with between 11 and 16 people. So far, it's been mostly middle-aged women, although two men attended. 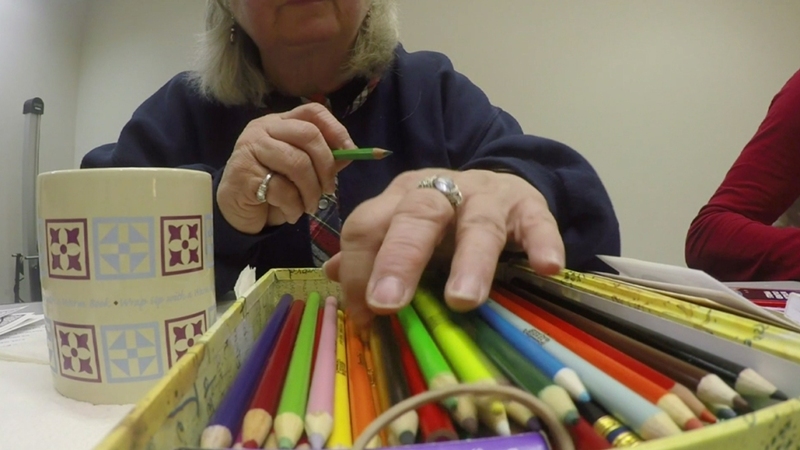 "They feel more focused, they feel more relaxed, maybe they report any anxiety they might have been experiencing having decreased with the adult coloring," she said. "I find the healthier I get, the more colorful my designs are," she said. Associated Press writer Allen Breed contributed to this report.